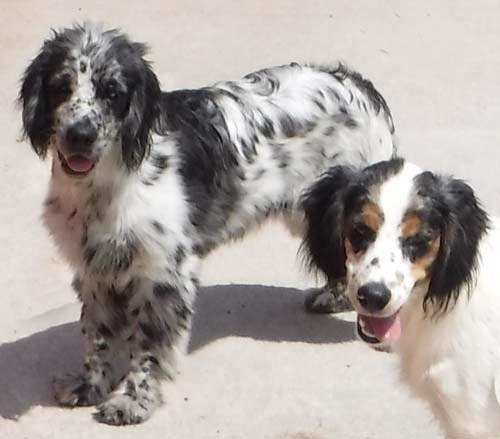 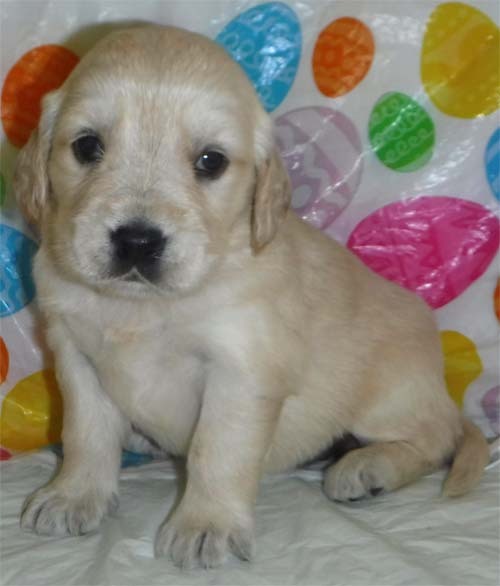 All puppies on this page are available! 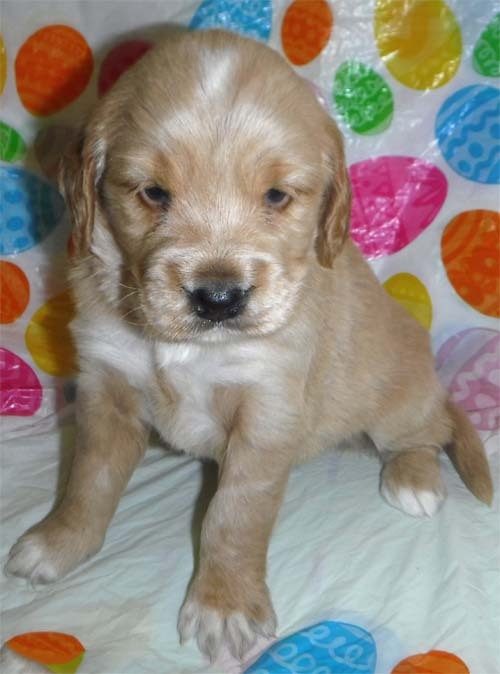 Balance and Shipping is due on puppies by 6 to 7 weeks old or before! 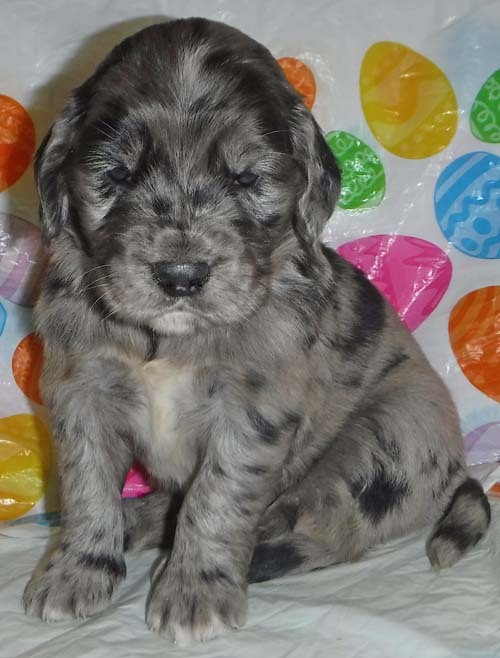 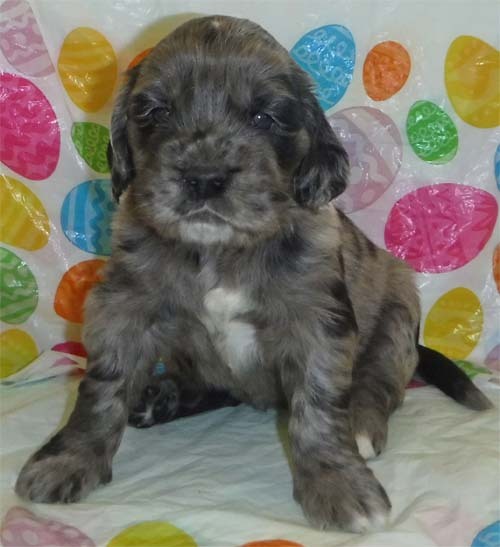 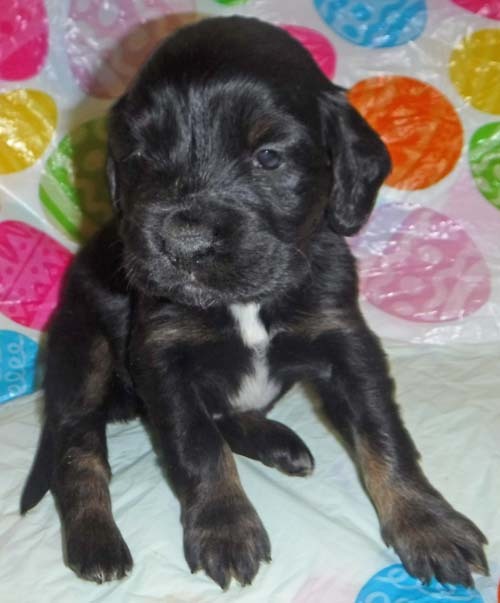 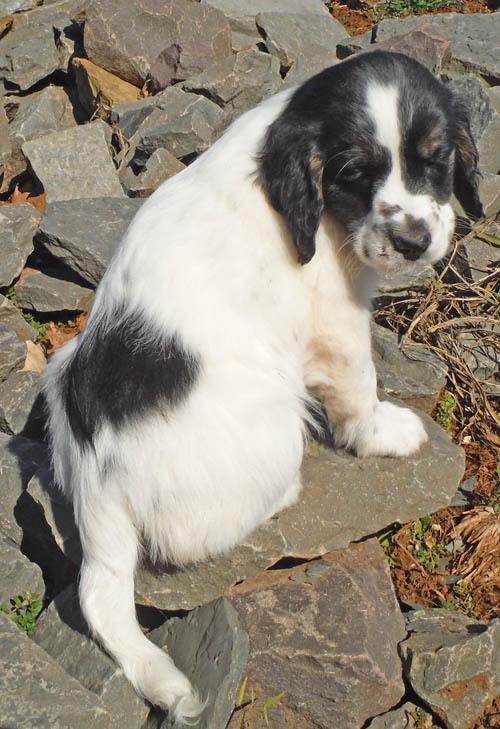 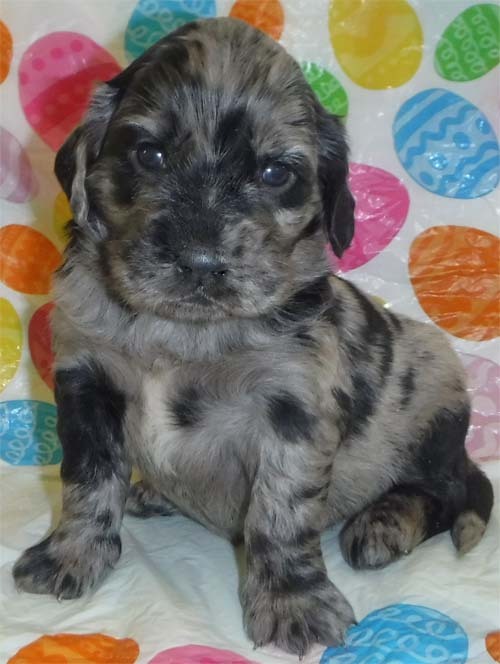 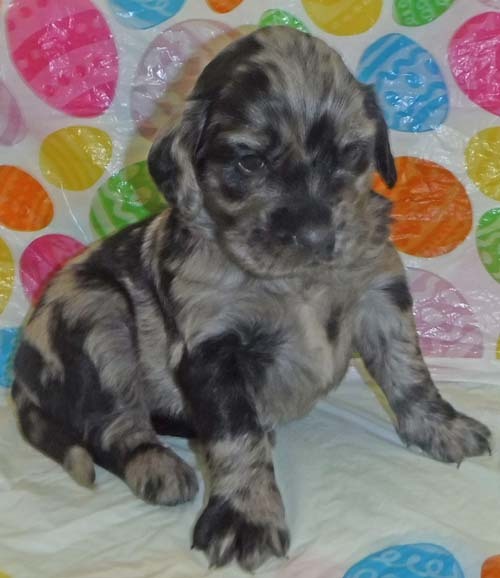 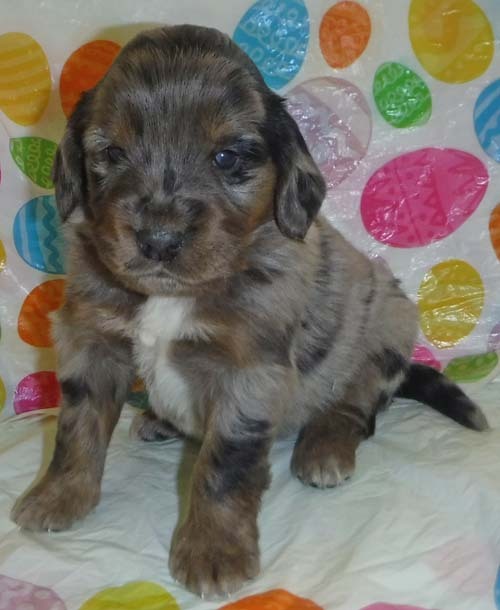 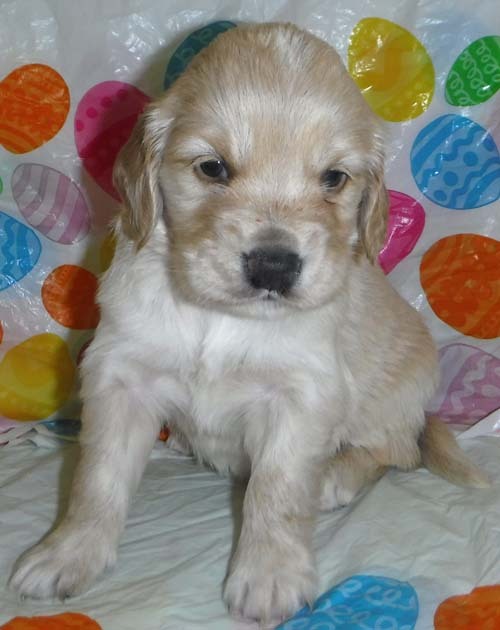 More available puppies on the "Ready To Go Now" page! 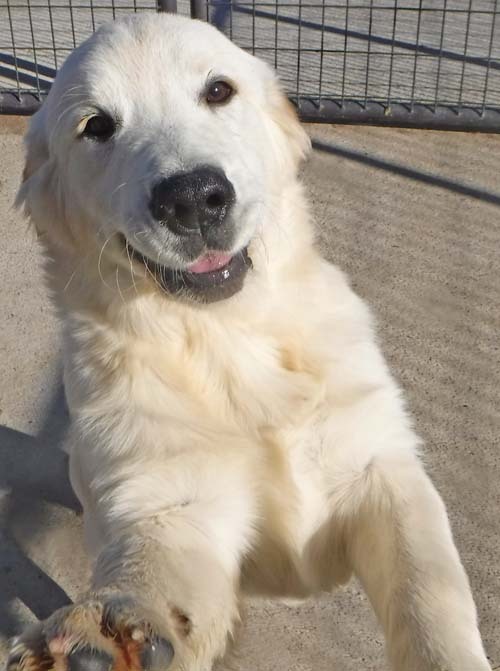 Do not forget to fill out the puppy contract! 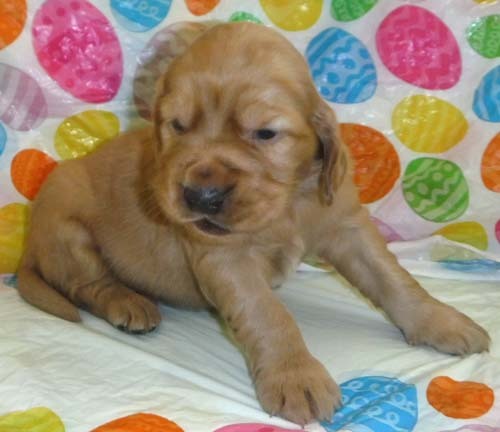 Prices determined by color, gender, and size! 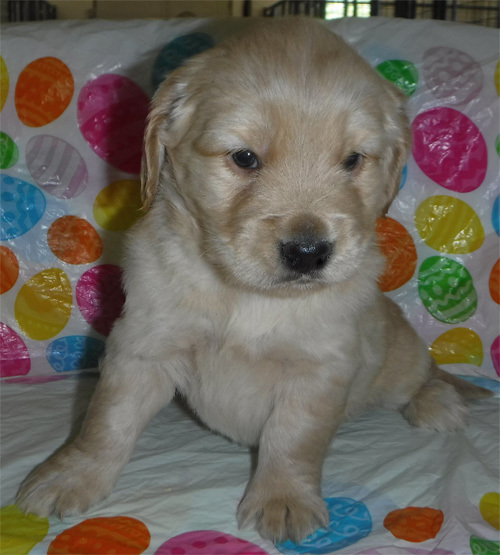 Josie had a litter by Duncan, born on March 11th, 2018. 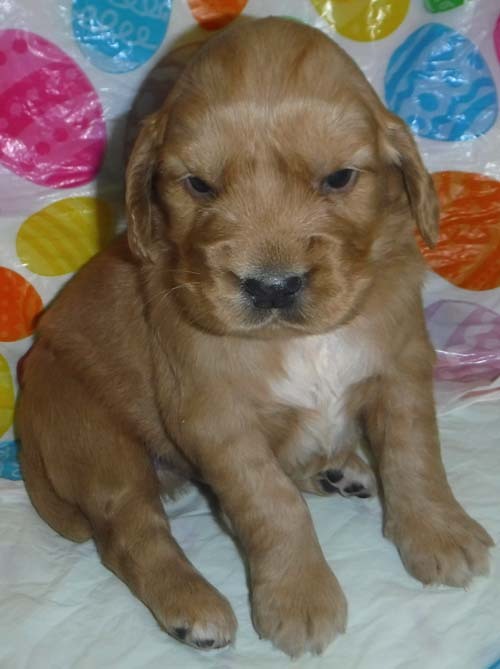 This litter is 53.125% actual Golden Retriever, and expected to mature around 20 to 30 pounds. 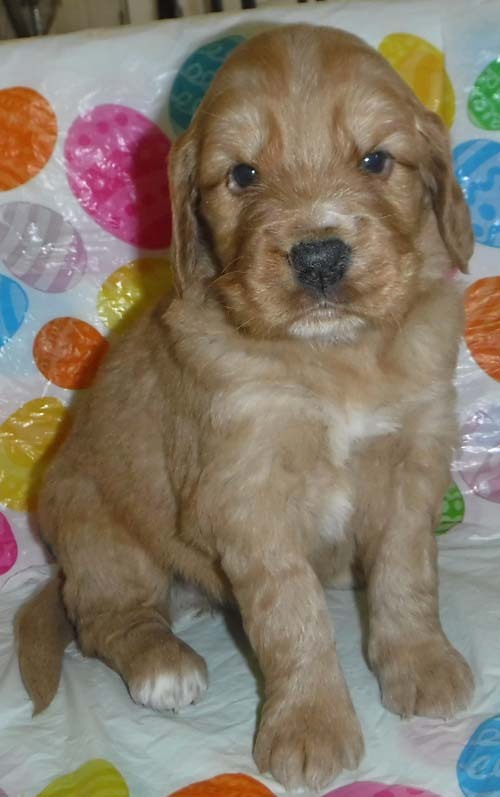 Ready to go around May 6th, 2019. 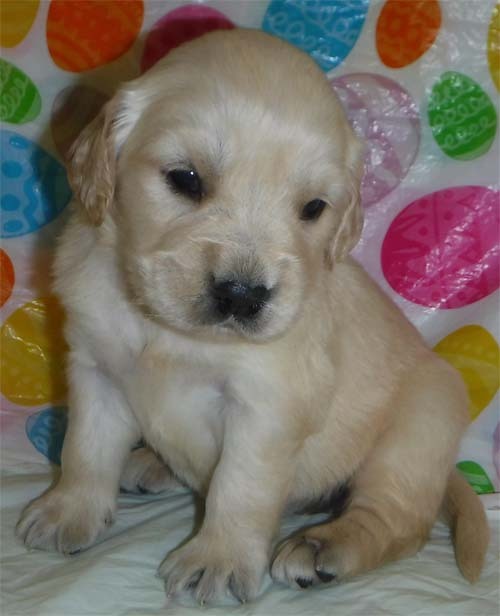 Chloe had a litter by Buddy, born on March 18th, 2019. 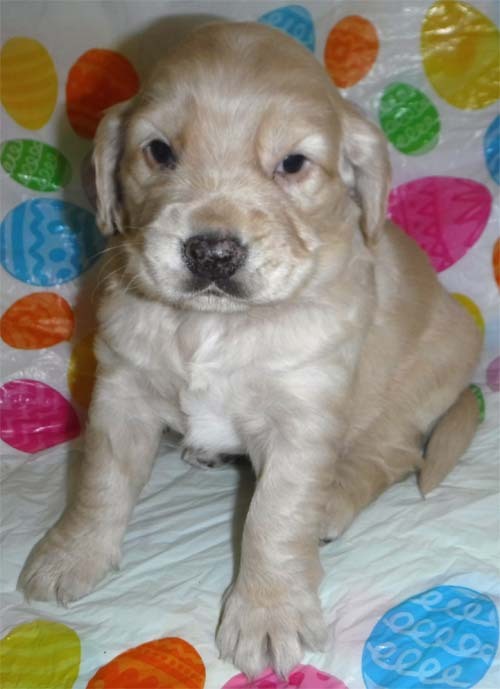 Puppies are 43.5% Golden Retriever, and expected to mature around 30 to 40 pounds. 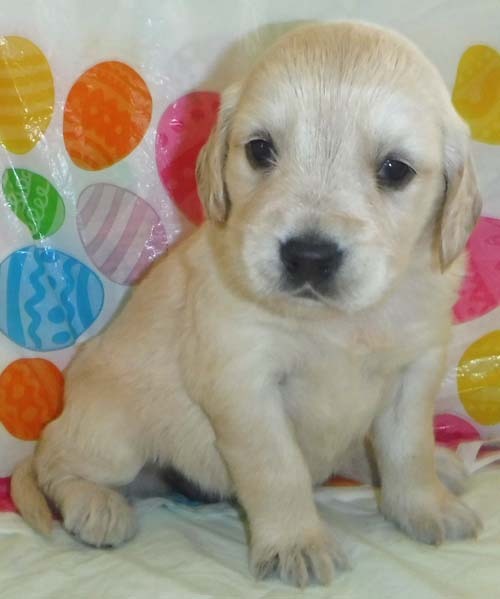 Ready to go around May 13th, 2019. 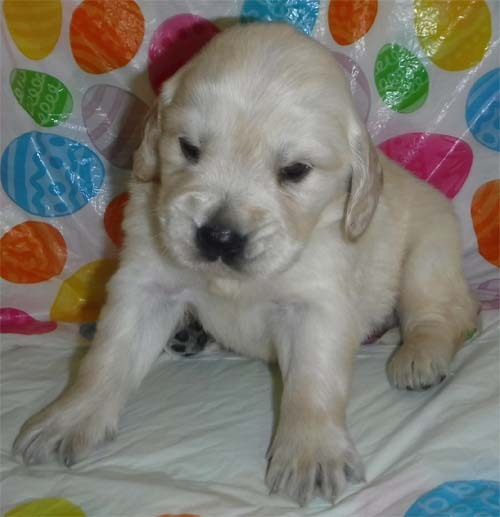 Isabelle had a litter by Duncan, born on March 18th, 2019. 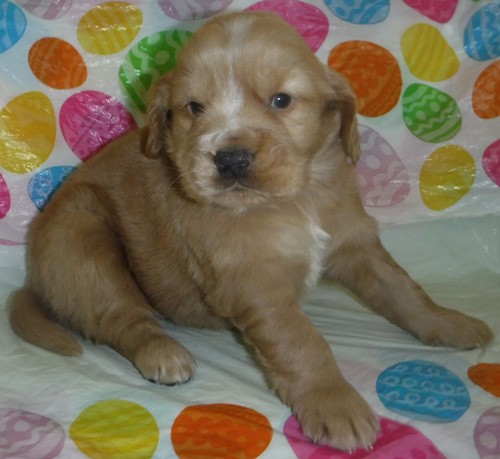 This litter is 50% actual Golden Retriever, and Expected to mature around 25 to 35 pounds? 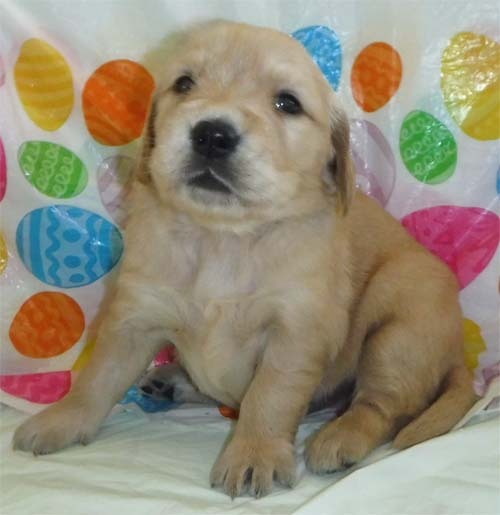 Ready to go around May 13th, 2019. 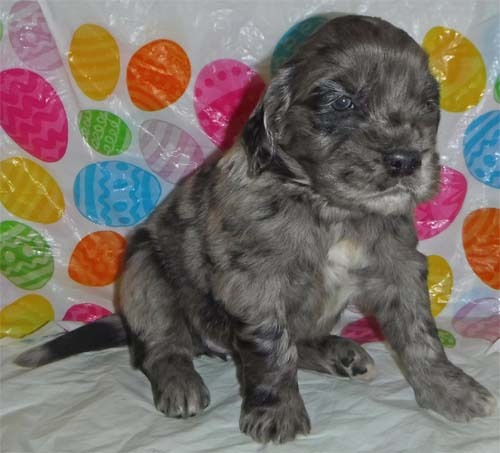 Blue Girl had a litter by Duncan, born on March 18th, 2019. 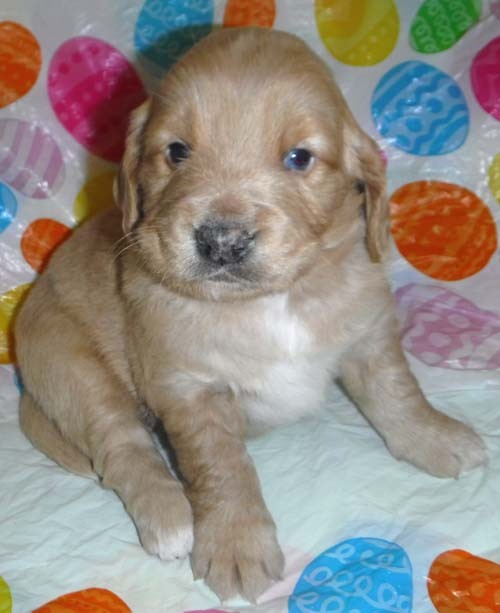 This litter is 53.125% actual Golden Retriever, and expected to mature around 35 pounds or so? 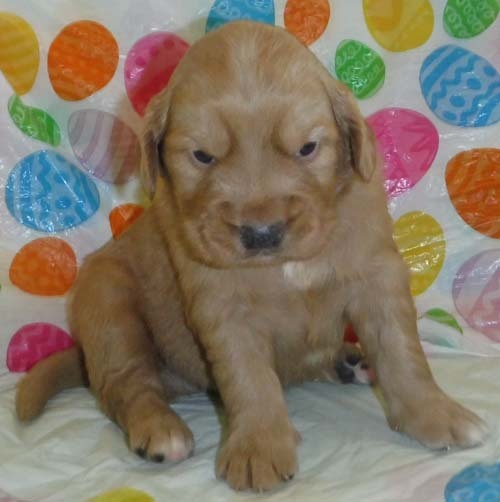 Ready to go around May 13th, 2019. 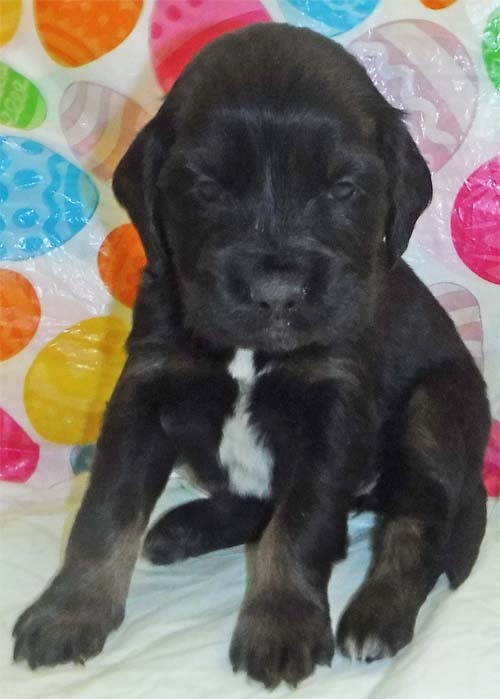 Sweet Pea had a litter by Red, born on March 19th, 2019. 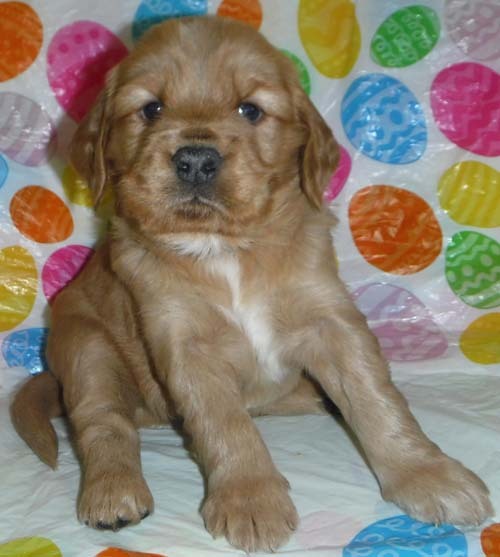 This litter is 50% actual Golden Retriever, and expected to mature around 30 to 40 pounds or so? 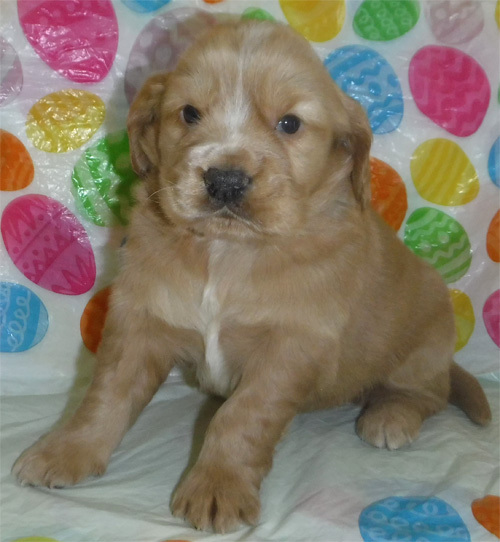 Ready to go around May 14th, 2019. 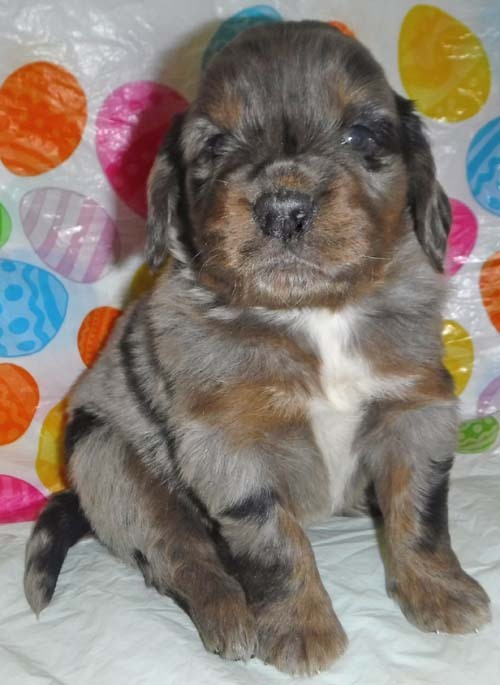 Sophie had a litter by Sammy, born on March 22nd, 2019. 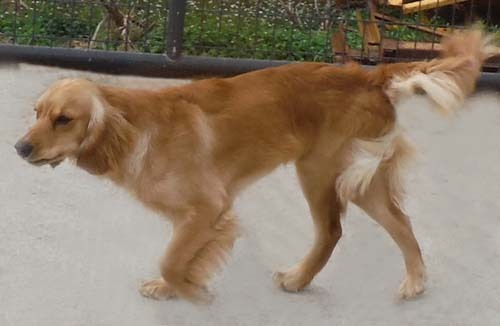 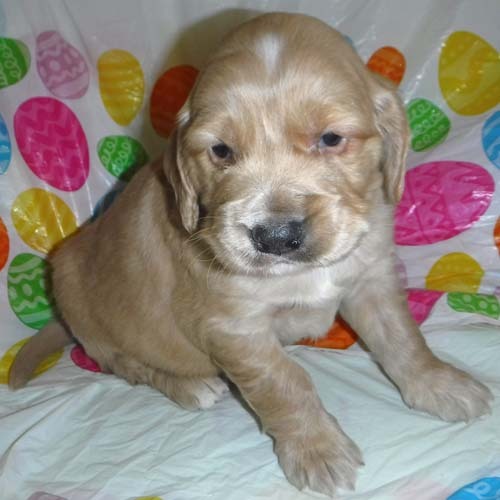 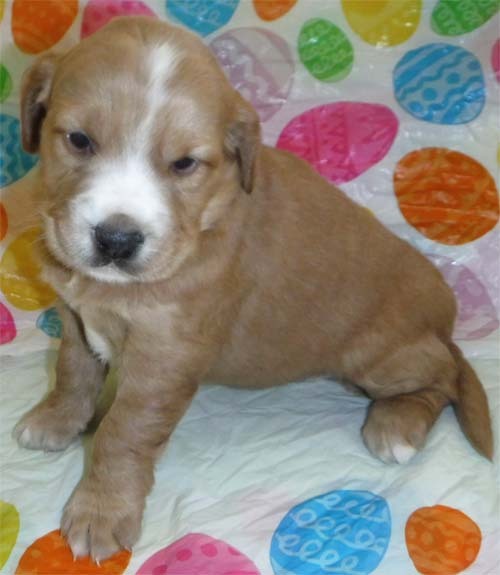 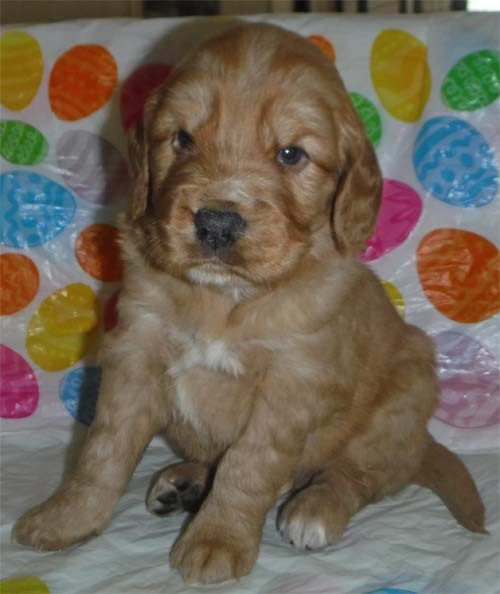 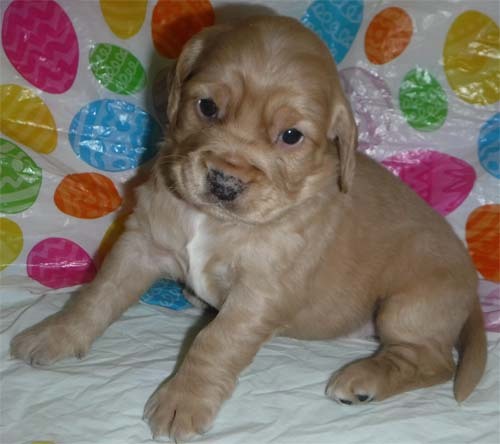 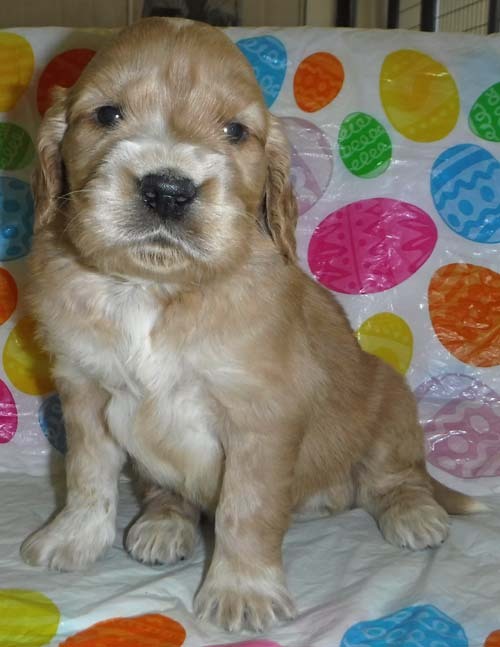 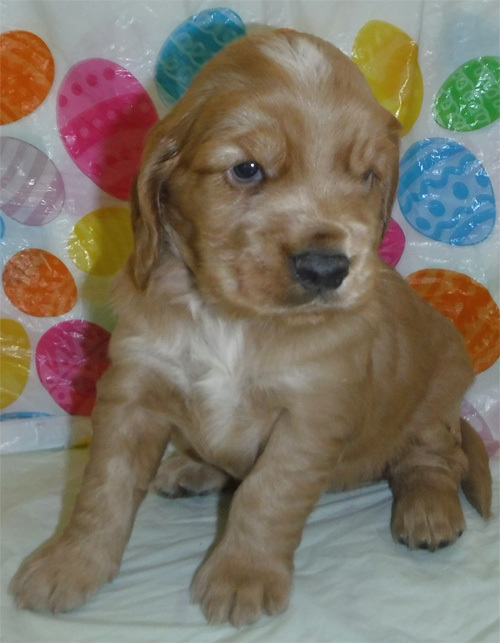 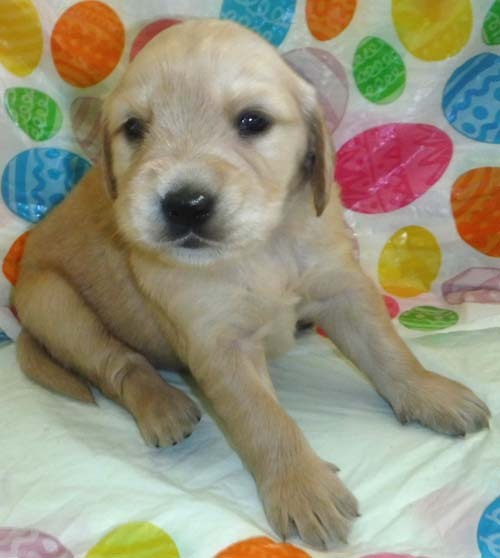 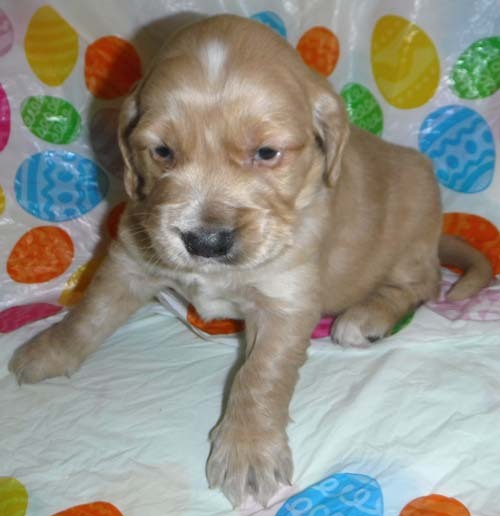 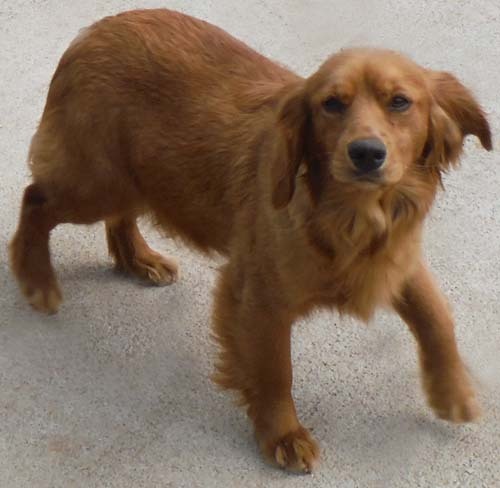 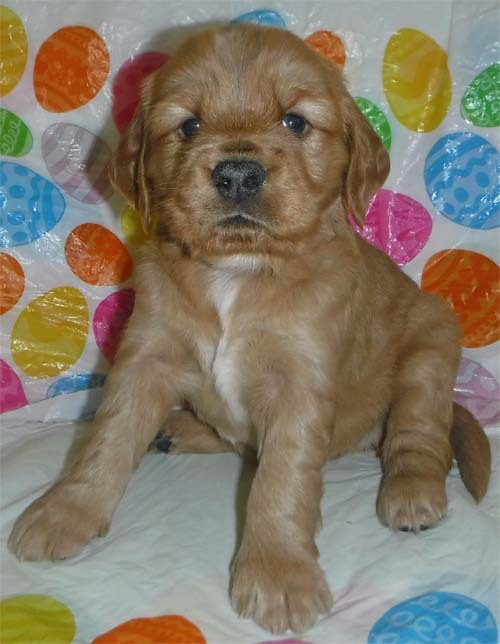 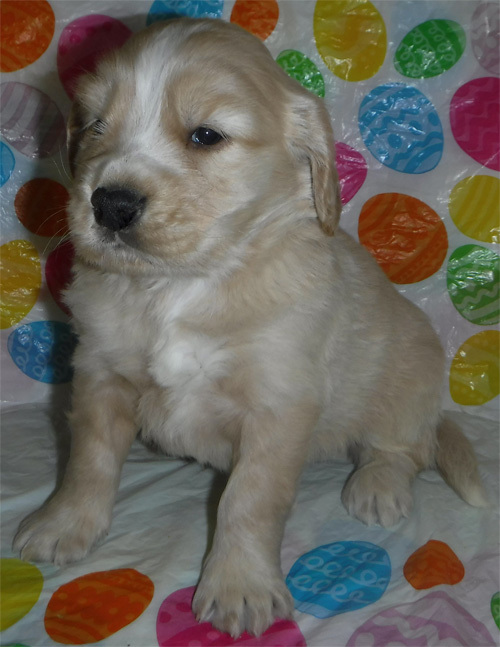 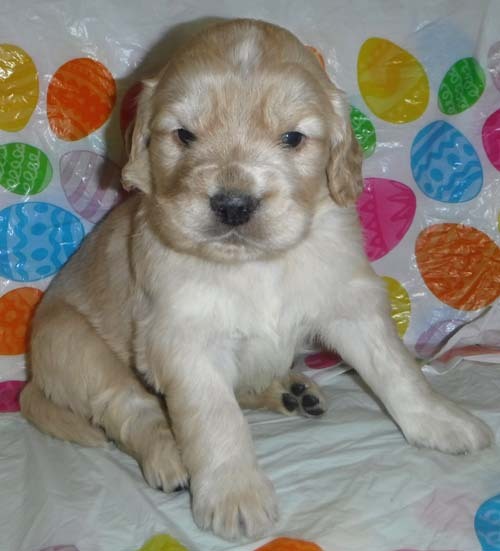 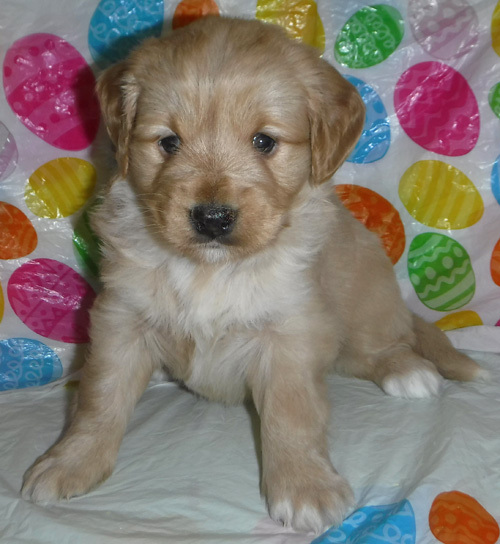 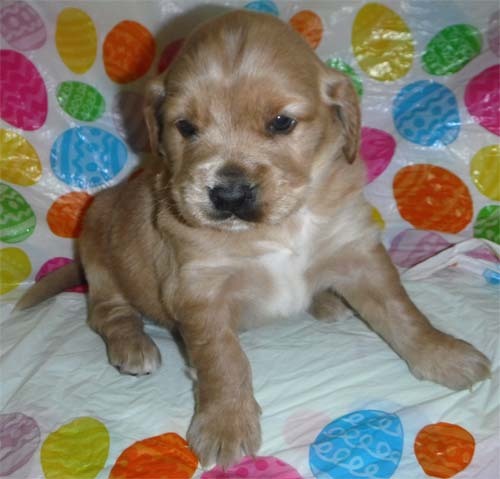 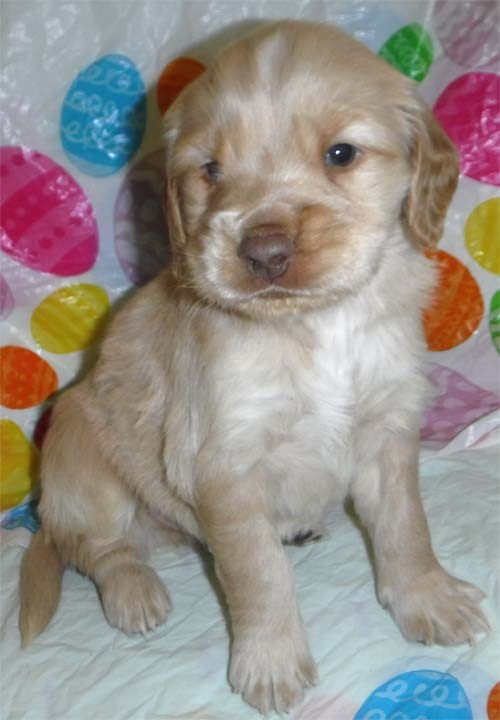 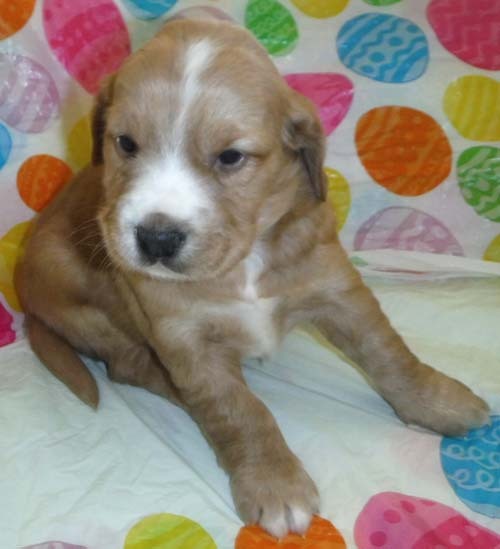 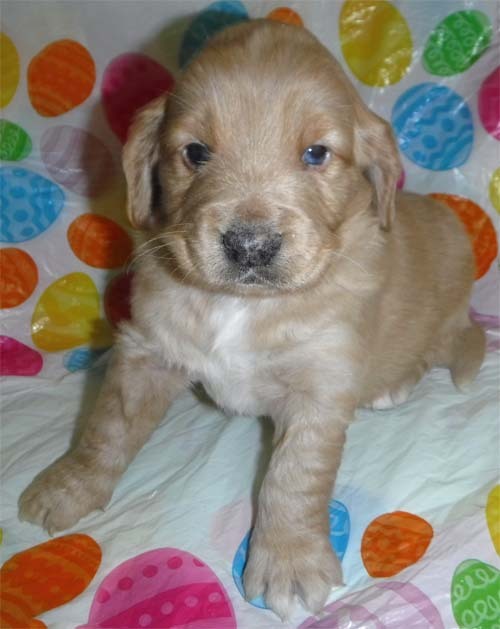 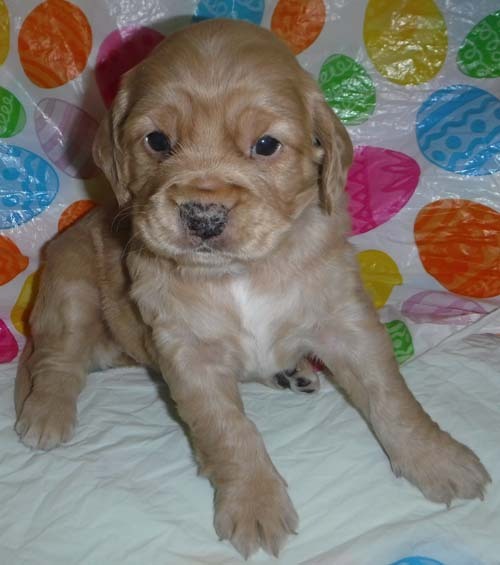 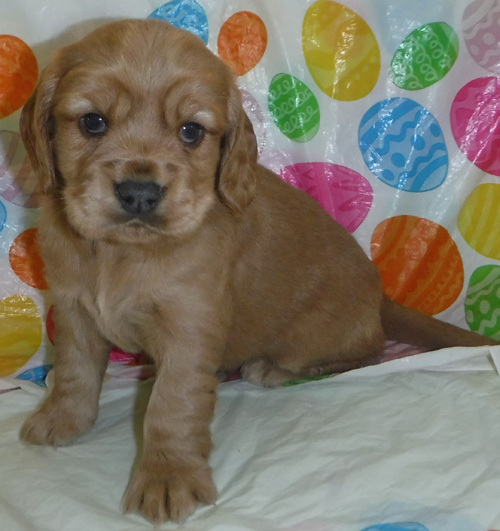 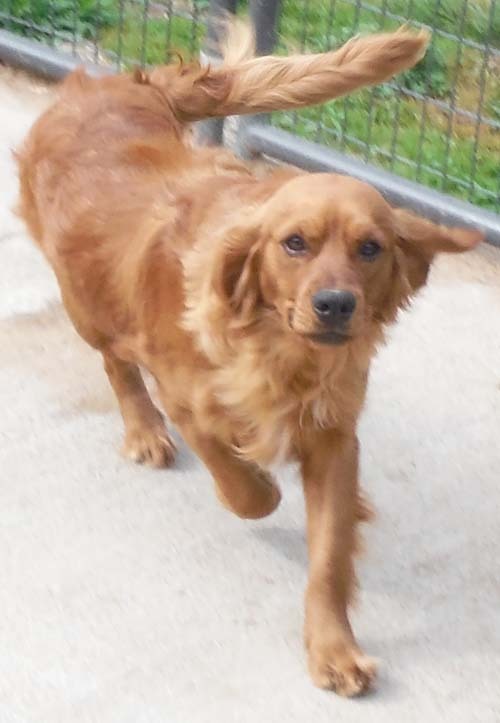 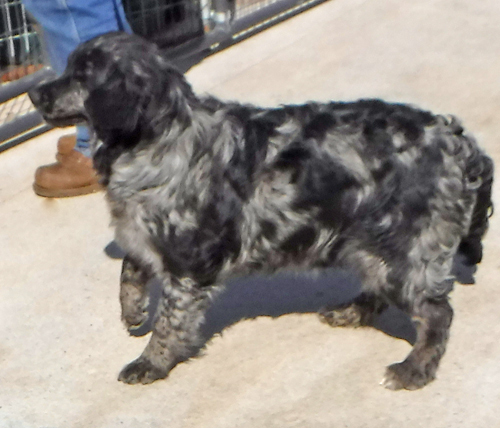 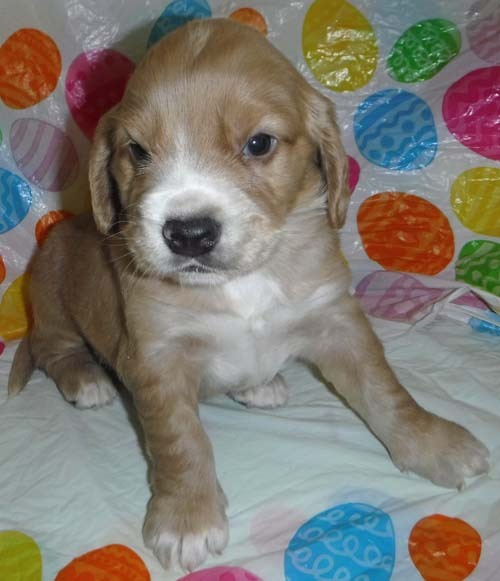 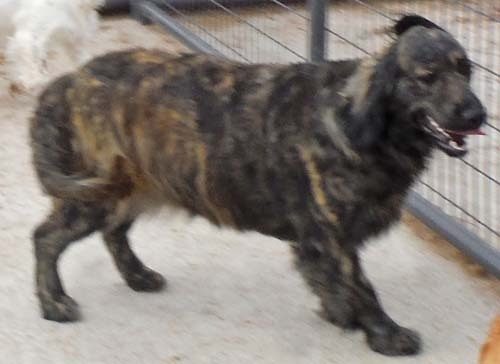 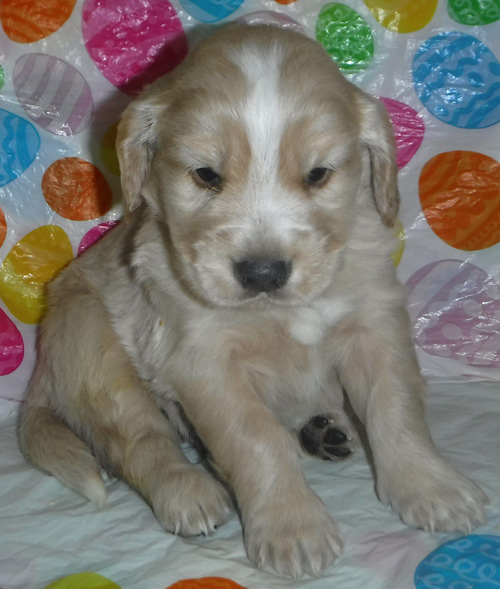 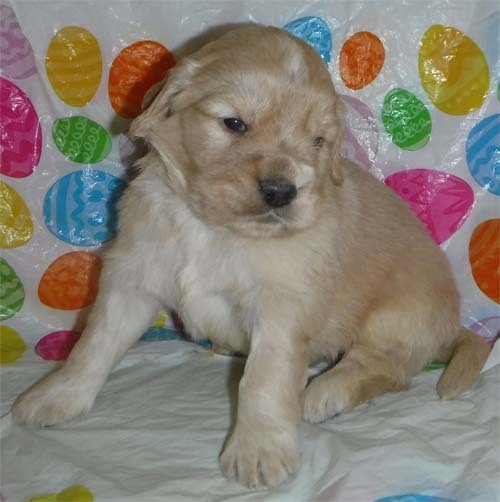 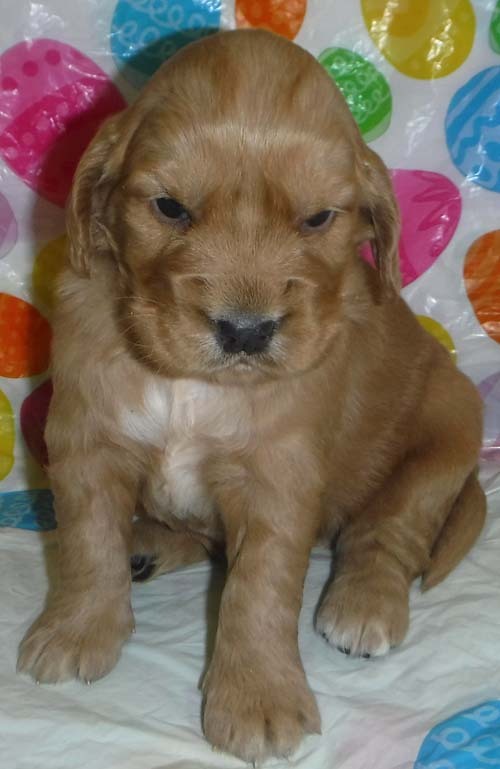 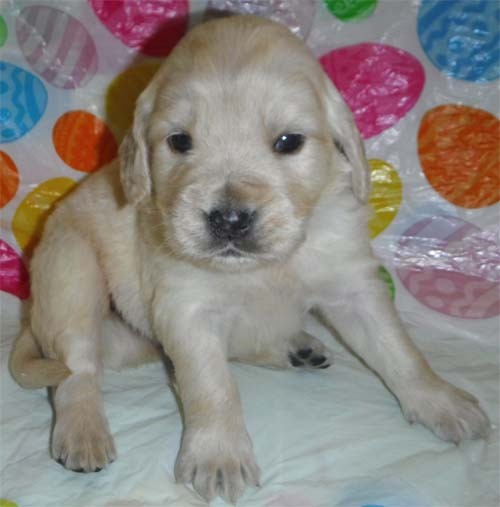 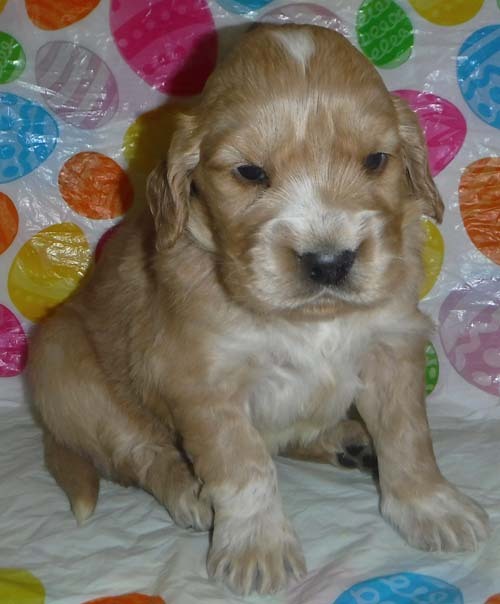 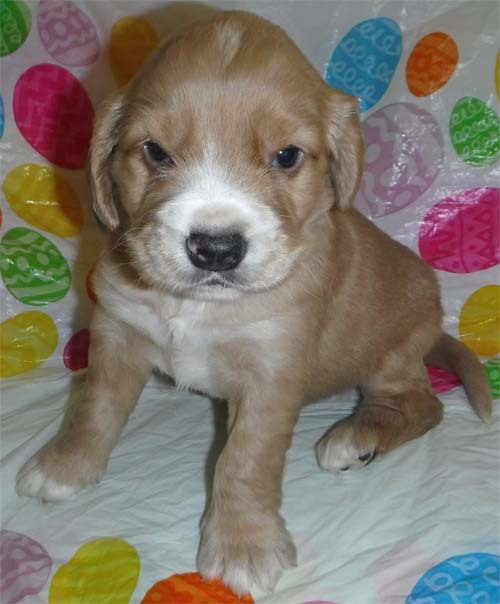 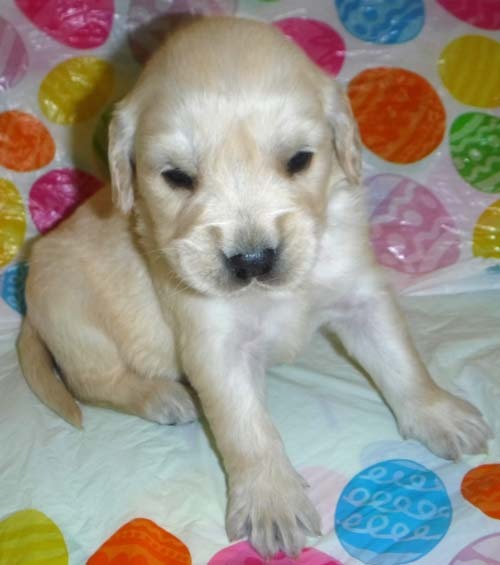 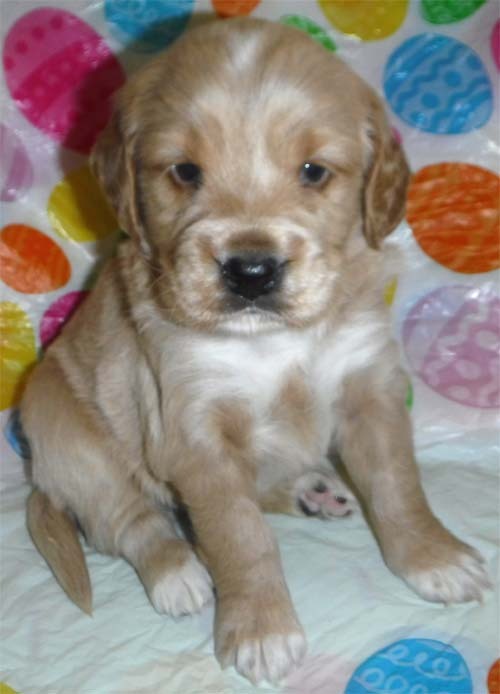 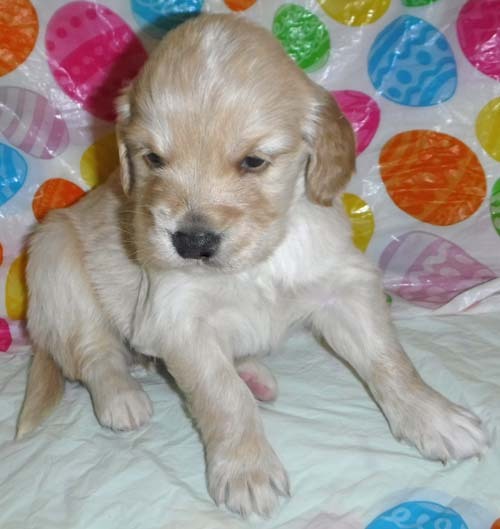 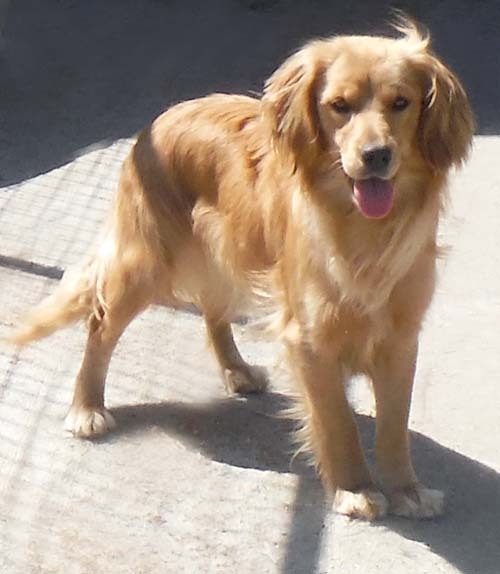 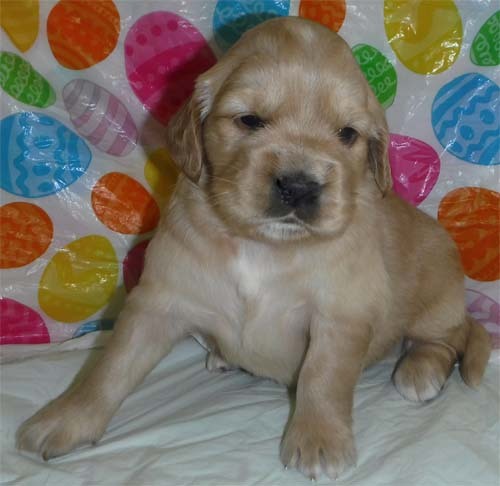 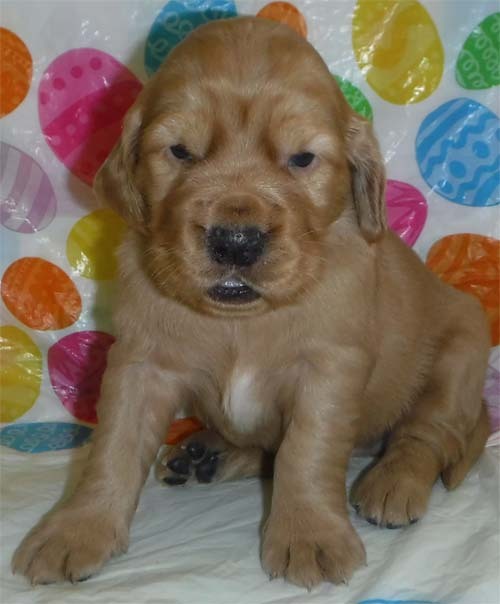 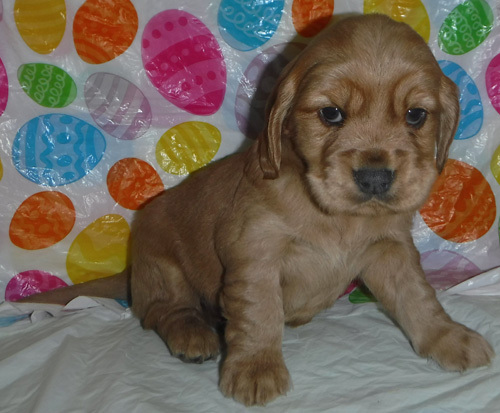 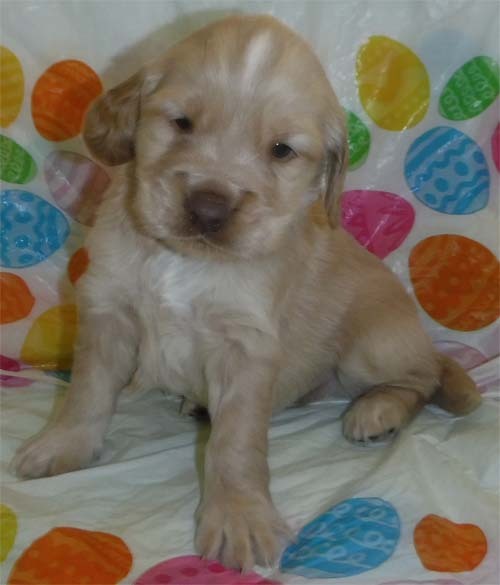 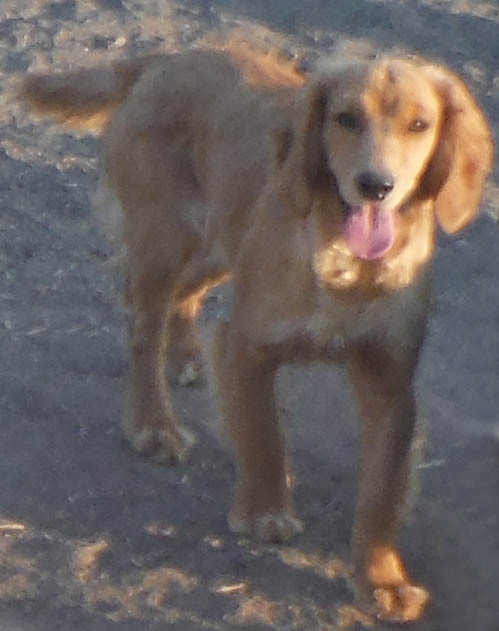 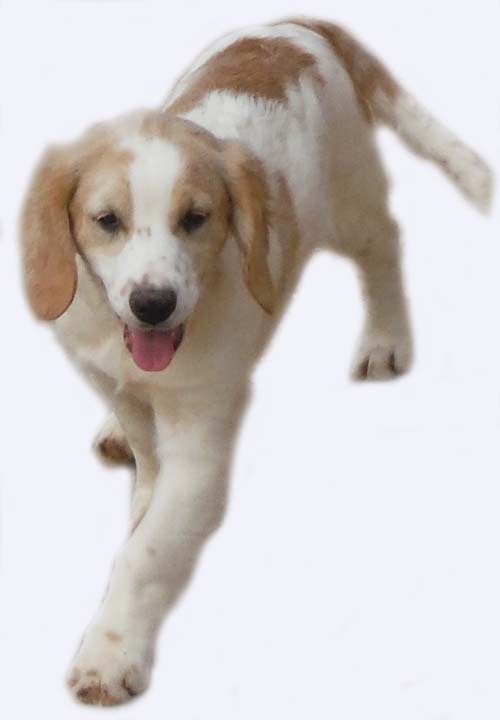 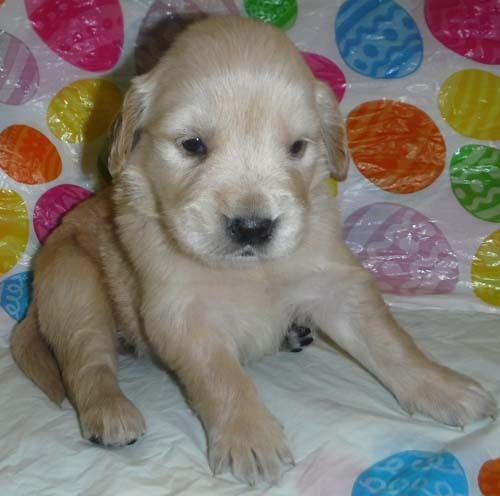 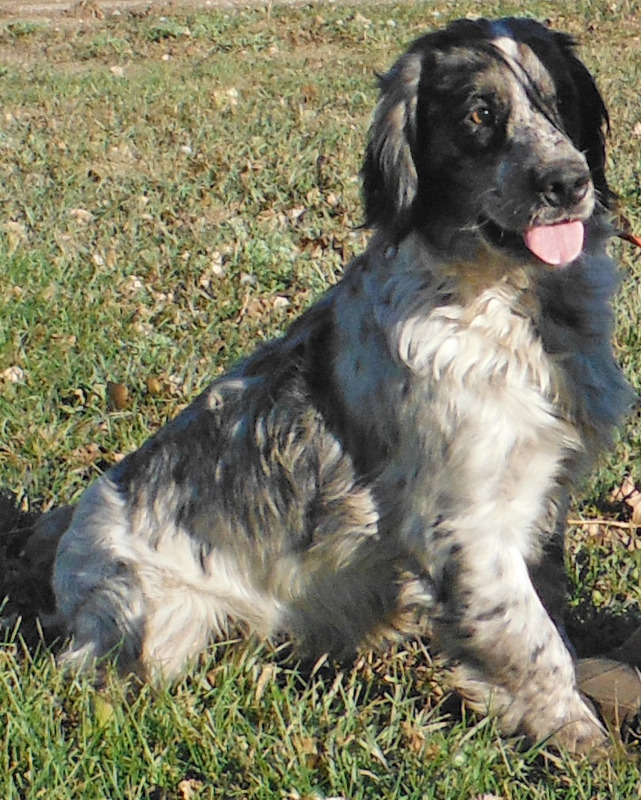 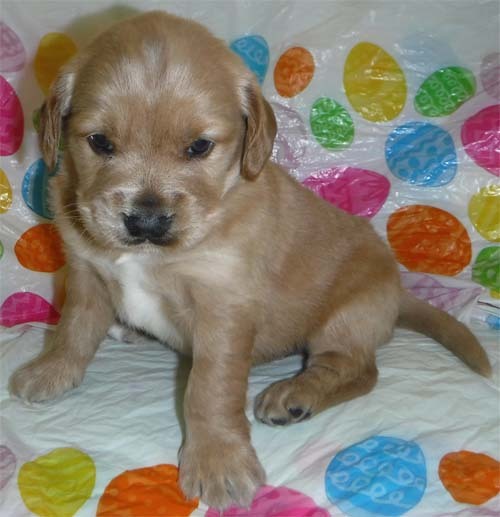 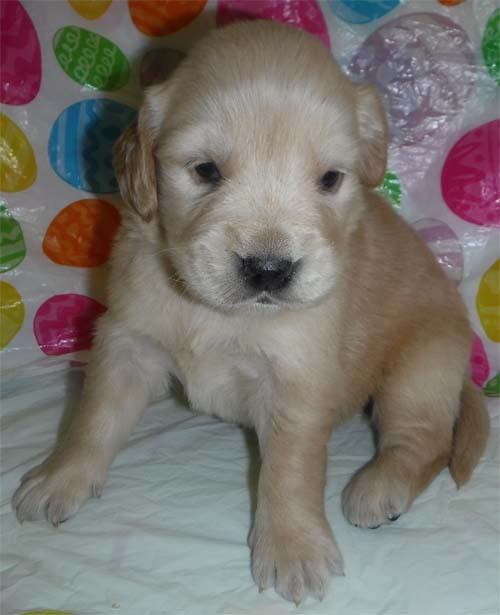 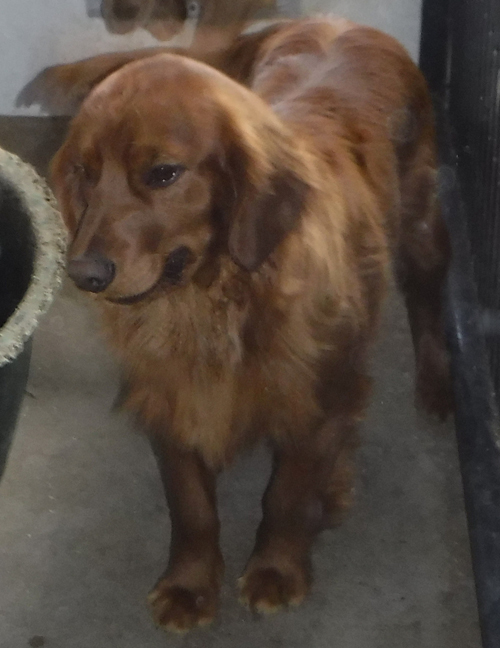 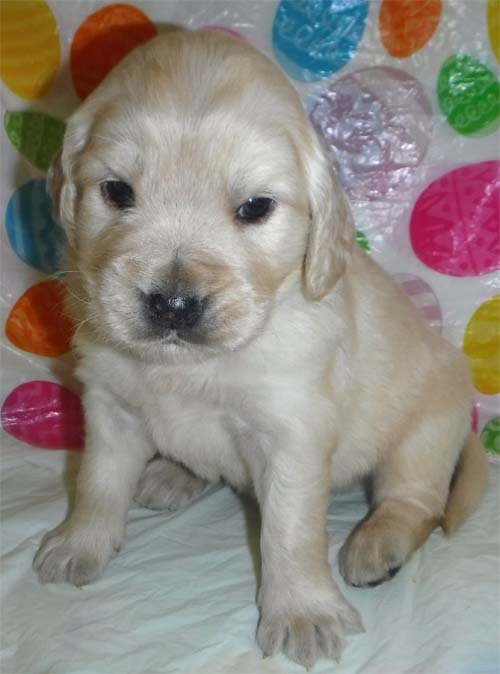 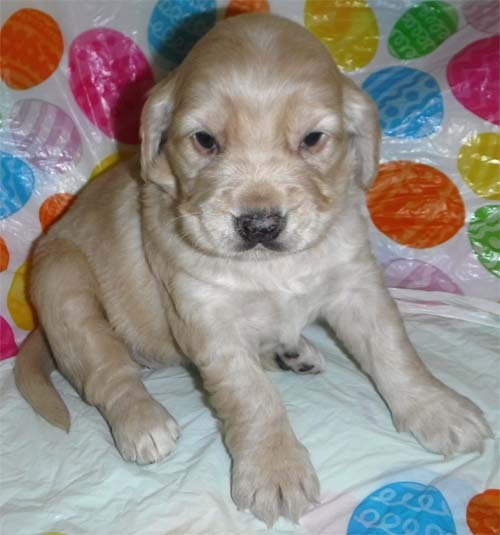 This litter is 75% actual Golden Retriever, and expected to mature around 40 to 45 pounds. 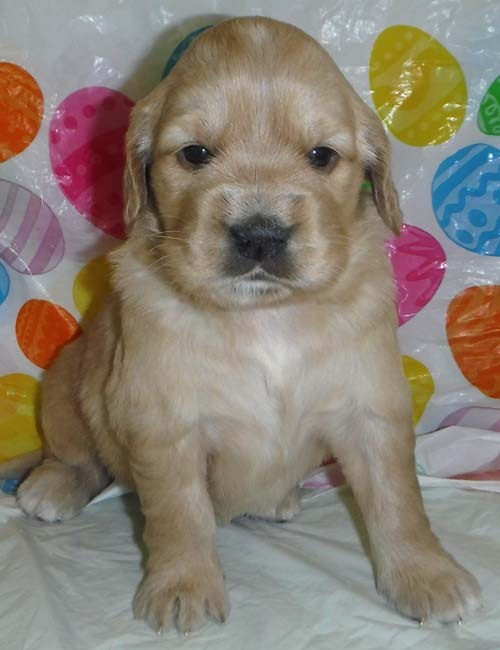 Ready to go around May 17th, 2019. 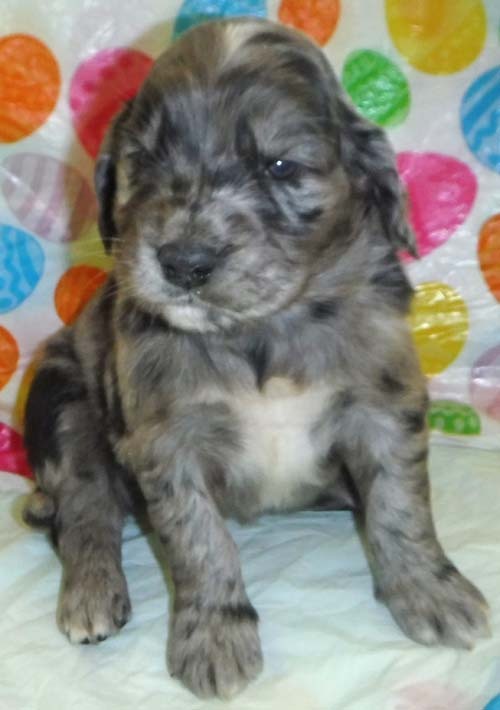 Dusty had a litter by Buddy, born on March 22nd, 2019. 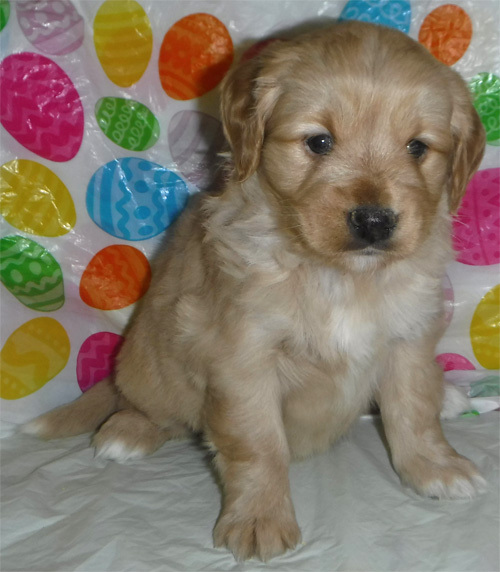 Puppies are 62.5% Golden Retriever, and expected to mature around 40 to 50 pounds. 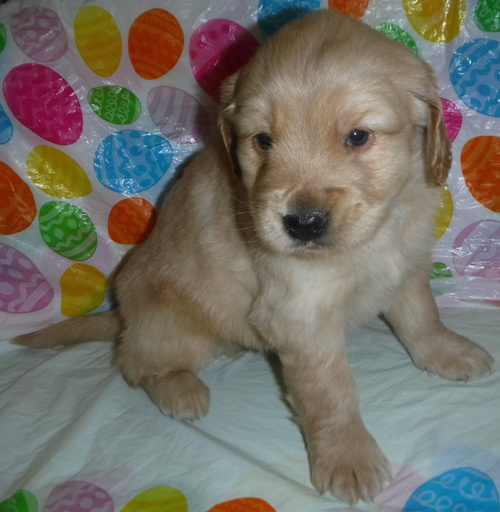 Ready to go around May 17th, 2019. 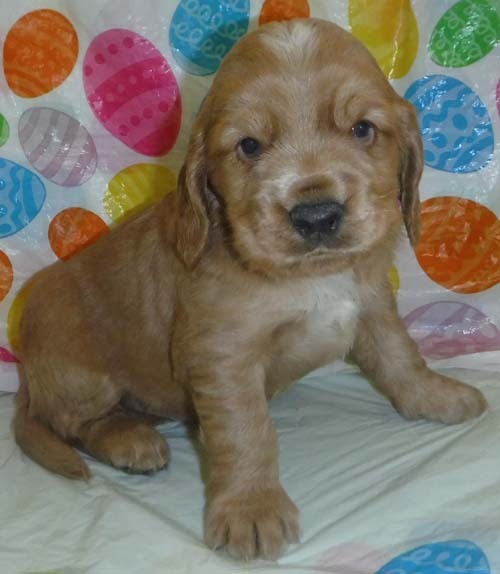 Lena had a litter by Red, born on March 24th, 2019. 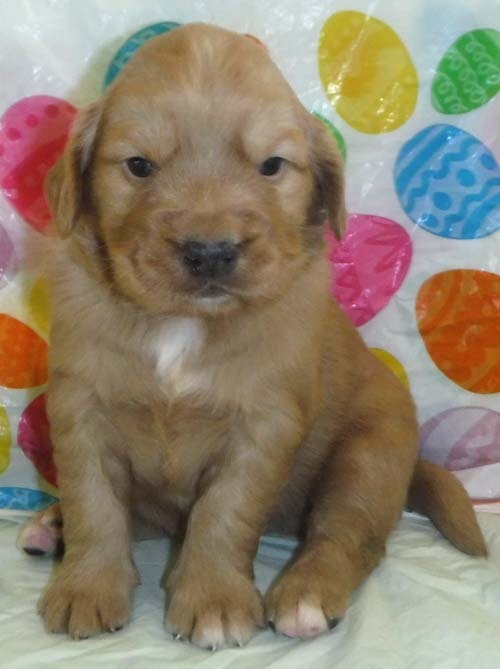 This litter is 62.5% actual Golden Retriever, and expected to mature around 35 to 45 pounds or so? 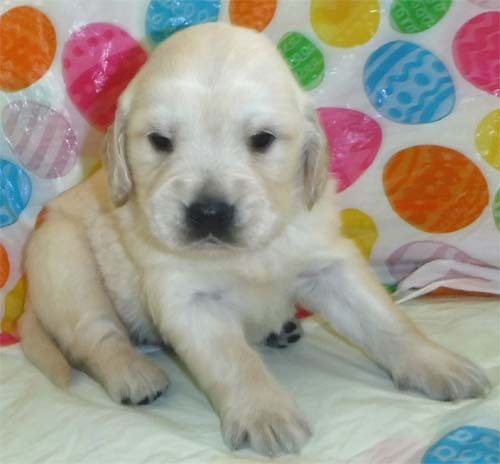 Ready to go around May 19th, 2019.